With Ultra Polish Pads or degreasing soap, remove oils and residues as they will affect the patina. ( If you tumble polish your piece after patinating, remove the used shot for future patinated jewellery pieces ). Prepare the Liver of Sulphur per manufacturers’ instructions. Dip the metal into the solution for a few seconds, then rinse the metal in cool water to stop the chemical reaction. For a darker patina, continue to dip and rinse. You can vary the patina with a Brass Brush and soapy water. With Liver of Sulphur, you can also achieve different colours of patina by varying the temperature and amount of water. Our Vintaj® Natural Brass range offers specialised stamping / embossing / embellishing supplies including blanks and bezels, a large range of Patina Ink colours, Glues and Sealers, dyes, Foil Sheets, Relief Blocks and even Rivets. Vintaj findings and filigree undergo a meticulous 7-step hand-embellishing process before it reaches you, the customer. The process is eco-friendly, enhancing the natural beauty of the brass. Vintaj products are not antique plated or chemically treated. They are nickel free and lead-free compliant. With intricate detail & fine-lined etching, each piece has its own unique rich colour and luster, identical to the look of Vintage Brass. Stamp, impress, texture, fasten, hang, link, layer, bead, string, suspend, hammer, flatten, rivet, cluster, glue, alter, ink, paint and more to create all types of types of jewellery & craft projects! Vintaj products are perfect for decorating metal, jewellery, paper goods, chip board, grunge board, wood, leather, acrylic, textiles, foil, canvas and more! 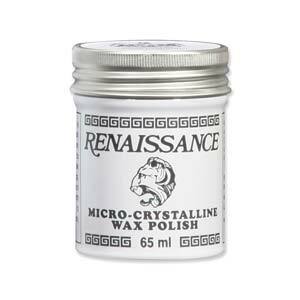 To protect your creations, use Renaissance Micro-Crystalline Wax. Renaissance Wax is the #1 choice of museums, galleries and professionals worldwide. It forms a durable, transparent, and lustrous protective coating that will not discolour. 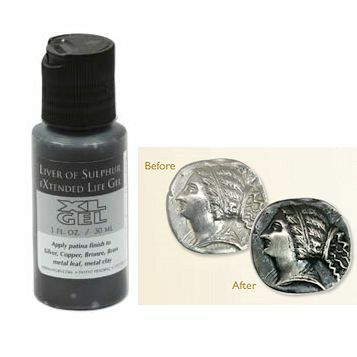 Use it on all metals and also gems, glass, bone, mother-of-pearl, stone and more. Renaissance Wax helps prevent tarnish and corrosion by creating a barrier to dirt, fingerprints and moisture, It’s non-staining, non-abrasive, and it cleans beautifully -- lifting oil, dirt and the murky build-up of other polishes. Use Renaissance Wax sparingly, rub lightly, and buff to a hard transparent finish (will retain a matte finish when unpolished).